For this fifth outing, even fans of Disney’s venerable Pirates franchise may be sympathetic to the tongue-in-cheek boredom of the flamboyant swashbuckler Jack Sparrow as he introduces himself to the uninitiated characters in the film, a plucky pair of youthful protags. 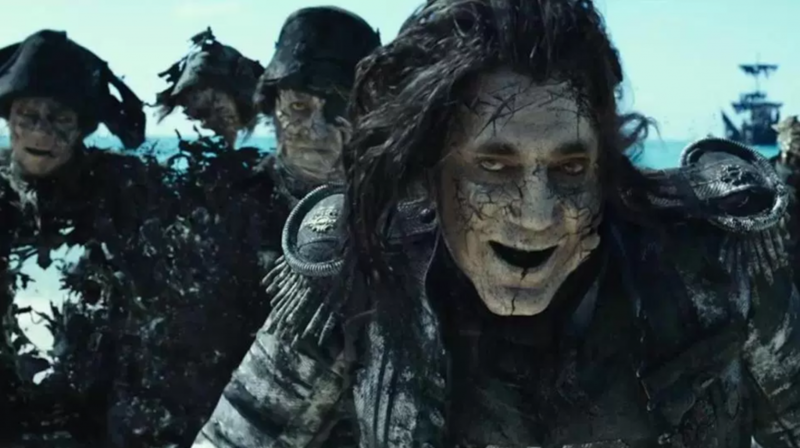 Despite the generally underwhelming response to two most recent films in the series (2007’s At World’s End and 2011’s On Stranger Tides), there is no doubt that, with his portrayal of the lovably wily Sparrow, Johnny Depp has created one of the more enduring cinematic characters of the twentieth-first century. It would be easy enough to fashion another film around his antics, but thankfully a fresh directing duo, Joachim Rønning and Espen Sandberg, working from veteran adventure film screenwriter Jeff Nathanson’s (Indiana Jones and the Kingdom of the Crystal Skull) script, manage to add some enjoyable new dimensions, at least aesthetically, to the proceedings.